Lush serene forests surround the Brunswick Forest community offering a beautiful environment and great opportunity for an active outdoor lifestyle! The pocket parks throughout Brunswick Forest add character and charm to an already amenity-rich community with walking, biking and nature trails, off-leash dog parks, and a natural landscape that will leave you breathless. 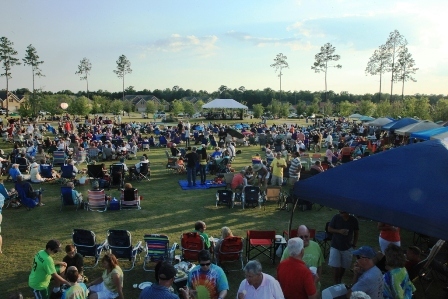 Tucked away into pockets of neighborhoods throughout community are small parks that add appeal, personality and adventure for the residents of Brunswick Forest! Within the Walden neighborhood of beautiful custom homes is a 3-acre park that will make you green with envy…that is if you’re not a Brunswick Forest resident! You’ll find homeowners walking their dog or reading a book in this perfectly placed park. 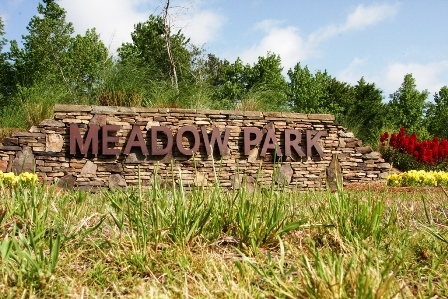 Venture into Meadow Park at Brunswick Forest and get ready for a day of play. This park has it all…trails, a playground and Bark Park for your furry four-legged friends. This park is perfect for the whole family and even has a rain garden and picnic table area when you are ready to relax. Home to the Annual Summer Concert Series, The Forest Feet walking group, bocce ball courts and horseshoe pits is lovely Annsdale Park. Located in the heart of Brunswick Forest, Annsdale Park offers community members a paved path that circles the park for walking and biking, but also provides a great place to spend time with friends and family! 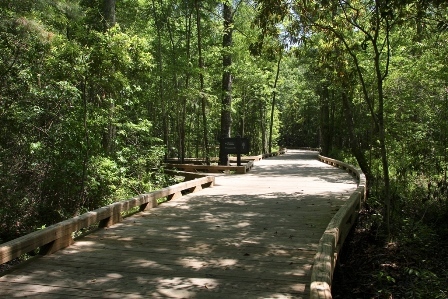 We invite you to come explore Brunswick Forest!